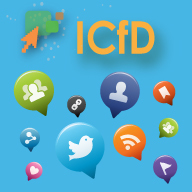 Jointly developed by UNITAR and the Food and Agriculture Organization of the United Nations (FAO), Innovative Collaboration for Development (ICfD) is an interactive tutor-facilitated e-Learning course on social media tools. The primary courseware is based on the Information Management Resource Kit (IMARK) – “Web 2.0 and Social Media for Development“. The overall objective of the course is to empower development professionals to recognize the potential of social media and to make innovative use of these tools to improve the efficiency and effectiveness of their work. Participants will be able to recognize the role of social media in changing the way that information is created, organized, shared and accessed. They will have opportunities to use some popular social media tools – such as Facebook, Twitter, Pinterest, Google + – analyze their utility, identify their adaptability to specific contexts at the workplace and compare the utility of various applications after analyzing the context of usage. Participants will also be able to recognize the importance of issues such as security, privacy, and intellectual property rights while using social media applications. The ICfD course has been awarded the 2011 international Open ECBCheck Standards. As of Spring 2013 the ICfD course is also available in French, with the title “Collaboration innovante pour le développement”. Consult the 2014 Sessions Calendar here and apply now! Fore more information, click here to visit the website of the course. I would like to thank UNITAR for this worderful training course on social media. The lessons were clear and well organised. The exercises were sometimes very long but always useful. They obliged us to instal and use some softwares which are quite relevant for our work. At the end you are very proud of what you did. I recommend those involved in development to follow the training course!